Monitornerds is an independent review website that helps you navigate the confusing world of gaming monitors. We do all the time-consuming research so you don’t have to. We are not sponsored and our articles are 100% objective while our opinions are uninfluenced nor controlled by the brands we check out. Our methods of technical testing and data collection are based on industry standards but are implemented with consumer-level gear for results that are faithfully close to your experience. Our main goal is to help you pick the best possible gaming hardware that fits your needs, budget, and setup. There is a ton of available options with varying specifications and marketing strategies that can make it difficult for the user. 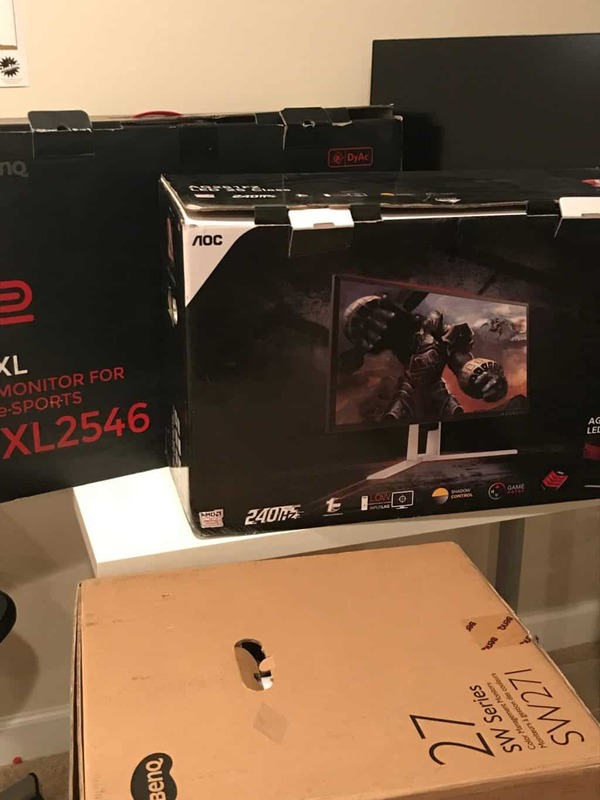 Our job is to sort through these offerings and share with you the juicy details and results to make shopping for gaming gear easier. You can support us by sharing our website or following our social media outlets for the latest news and information. You can also buy through our affiliate links which give us a small commission without any additional cost to your purchases. MonitorNerds is a participant in the Amazon Services LLC Associates Program, an affiliate advertising program designed to provide a means for sites to earn advertising fees by advertising and linking to Amazon. Paolo is an architect, writer, a gamer and a geek at heart. He has over a decade of experience in building different types of computer systems for clients and friends. Gaming has been a part of his daily life since the early days of Doom and Warcraft. From having his face glued to his old CRT telly and mashing an NES controller to pieces on Contra, to trudging through Skyrim with a wrath in 4k, Carlton’s always been that poster child for video game violence that your local alarmist crusader’s been warning you about for years. When he’s not busy head shotting scrubs, you can find him in the general direction of wherever technology and food gather these days. (We’re just kidding, he can’t headshot anything). MonitorNerds.com is owned and operated by Spartina Funds LLC. We are based in Chevy Chase, Maryland.